Markets are in a much more positive mood than they were at the beginning of the year. Equity indices having clawed back much of the losses seen through the final quarter of last year and high yield bond markets have surged with money clearly being put to work. This is perfectly understandable given the news over the past four weeks. For a start, the government shutdown has ended and the 800,000 government workers directly impacted are being paid once again. 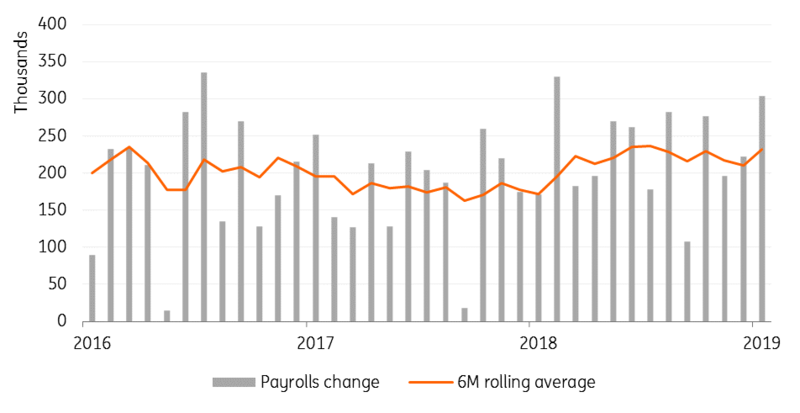 There is a significant backlog of government work, but the data flow we have been seeing suggest no major adverse implications for the broader US economy. After all, the economy created 304,000 jobs in January and the ISM manufacturing index bounced back, fuelled by a surge in new orders. We’ve also had some encouraging newsflow on trade with positive sentiment expressed by both China and the US in terms of opening up markets following recent talks. The fact that President Trump has mentioned the possibility of a summit with President Xi has been taken well. 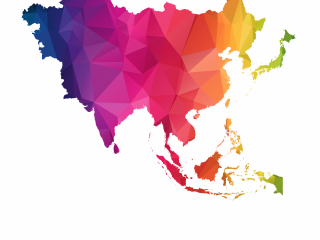 Nonetheless, there is clearly still work to do, particularly surrounding intellectual property protection and the issue of technology transfer when entering Chinese markets. Then there is the change of stance from the Federal Reserve. Having signalled back in December that ‘further gradual increases’ in the policy interest rate may be required, they dropped that description completely in January. The clear message is the Fed is on pause for some time with the FOMC commenting “the committee will be patient as it determines what future adjustments to the target rate… may be appropriate”. It appears that the unsettling effects of earlier market weakness, trade uncertainty and the government shutdown, (described as economic “crosscurrents” by Fed Chair Jerome Powell) gave them a reason to adopt a wait-and-see stance. However, given the newsflow on all three had been pretty positive in the build-up to the decision, the timing of this shift caught markets off guard. Given the economy is in decent shape with the jobs market described by the Fed as ‘strong’ and economic activity ‘solid’ and with no threat of an imminent interest rate hike, there was a lot for equity markets to like. Now, it is possible that the polar vortex, which has been economically disruptive by hurting road, rail and barge logistics, in combination with the government shutdown will pull annualised 1Q GDP growth below 2%. Inflation too is likely to be subdued at the headline level thanks to the plunge in energy prices. However, the outlook for the US economy remains positive, especially if we can see encouraging developments on trade. The labour market remains very strong, and businesses continues to struggle to fill vacancies. The competition for labour means that, according to the Federal Reserve Beige Book, “wages grew throughout the country… across skill levels, and numerous districts highlighted rising entry-level wages as firms sought to attract and retain workers and as new minimum wage laws came into effect”. Average hourly earnings are already rising 3.2%, and for non-supervisory production workers they are increasing 3.5% YoY. With worker pay on the rise and employees feeling secure in their jobs, consumer spending will likely remain firm while adding to inflation pressures in the economy. 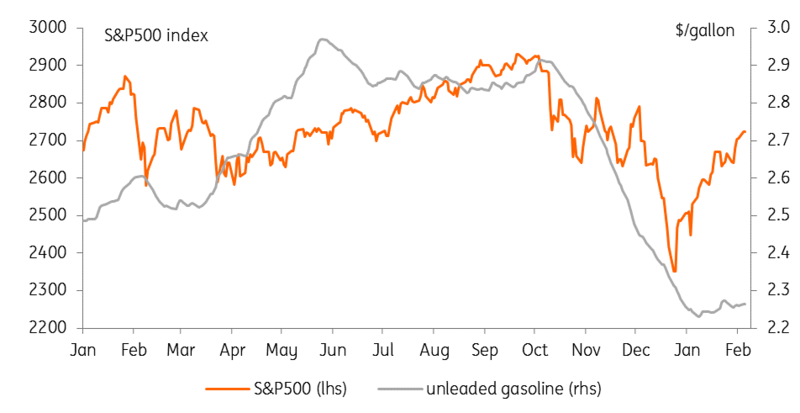 In addition, the plunge in gasoline prices means households have more cash in their pockets after filling up their vehicles’ fuel tank while the rebound in equities is positive for sentiment. We have also seen mortgage rates move lower with the 30-year fixed back down to 4.75% after peaking close to 5.2% in November, which appears to be tempting some people back into the property market. Businesses also look in decent shape with both the ISM manufacturing and non-manufacturing surveys pointing to healthy growth over coming months. With the US economy experiencing shrinking capacity and rising pay, we look for inflation pressures to gradually build. Our house view has been that this combination of strong economic fundamentals and (hopefully) some better news on trade will be enough to convince the Fed to raise rates again over the summer. However, the more cautious tone from the Fed at the January FOMC meeting suggests it is more likely to be one interest rate rise than the two, as we had previously pencilled in. Unfortunately, our trade team believes the prospect of this positive trade scenario is receding (see page 2). If President Trump implements additional economically damaging sanctions against China and the EU, American businesses and consumers will face higher prices, disruption to supply chains and the likelihood of steep equity market falls as the bear market sentiment seen in late 2018 returns. 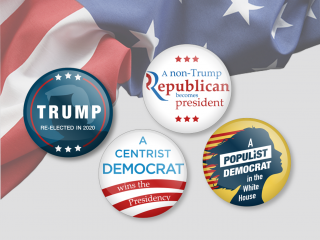 Ahead of the 2020 election year, Donald Trump may be hopeful that a short sharp shock will be enough to deliver the concessions he seeks to claim victory on strengthening the US’ trade position. Nonetheless, this will come at the price of weaker near term growth. The hit to sentiment and squeeze on spending power it generates is likely to mean the Fed takes an even more cautious line on monetary policy. Under this scenario, we suspect the central bank will be on hold for more than a year with a clear risk that the Fed funds rate has already peaked.